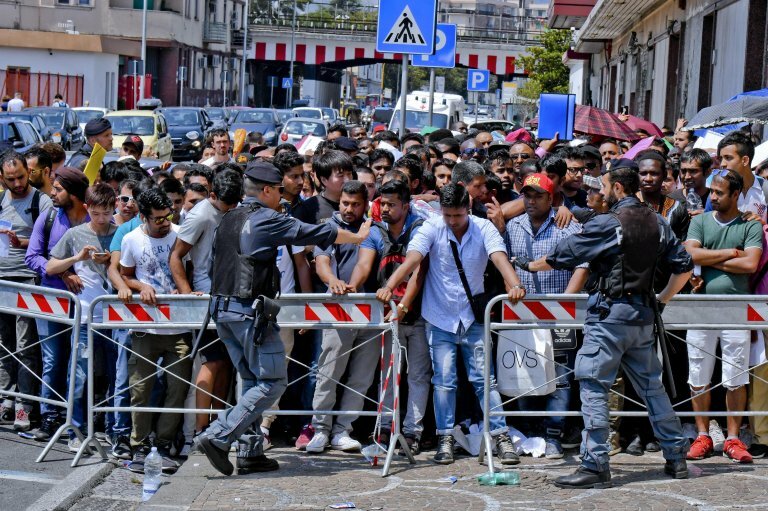 A migrant assistance organization in Sicily has denounced discrepancies between administrative practices and regulations regarding residency permits in Italy. Asylum seekers, they say, were caught in vicious circles due to bureaucratic delays and demeaning waits. The association Borderline Sicilia highlighted that many police stations erroneously claim that residency is a pre-requisite for issuing and renewing stay permits for asylum seekers and protection holders. "Many police stations erroneously consider residency a presupposition for stay permit renewal, forgetting that - due to the fact that registering in the city's demographic registry is a foreign citizen's right and responsibility - the stay permit is the pre-requisite for demographic registration and not the other way around", according to Borderline Sicilia. The association said that both residency, as well as domicile/hospitality, are directly linked to the issuing and renewal of temporary or permanent stay permits for asylum seekers and international or humanitarian protection holders. Because of this, many police stations in many cases actually refuse to accept the fictitious residence of those without a home in order to renew a stay permit, even though it is legally equivalent to any other residence. Borderline Sicilia said these practices are "unlawful". It also said certain cities make it difficult to register for residency, despite the fact that local registry offices are "required to register in a specific national registry those people who do not have a fixed home but have provided proof of their stay in that city, and therefore the type of lodging cannot be an obstacle". According to Italian law, demographic registry is not a concessional provision but rather a citizen's right and the responsibility of the registry office. The right to residency, therefore, is provided for even for those without a home, through a fictitious residence. Without demographic registry, the association said "many services are suspended" including enrollment in the national healthcare system, disability benefits, the possibility to access social services or related subsidies, and enrolment in job placement listings.